Samsung has officially launched the Galaxy Tab A (2017) in India. The Samsung Galaxy Tab A (2017) comes in Black and Gold colors and has a price tag of Rs. 17,990. It comes in both Wi-Fi and 4G variants and the 4G version is already on sale. It has an 8-inch WXGA display, is powered by Snapdragon 425, runs Android 7.1 Nougat and also comes with 4G LTE support with voice calling. The Galaxy Tab A (2017) was earlier launched in Vietnam last month. This is not a high-end tablet from Samsung and is similar to recent mid-range announcements from the company. Samsung has used a metal design this time which makes it look more premium than other mid-range Galaxy tablets. 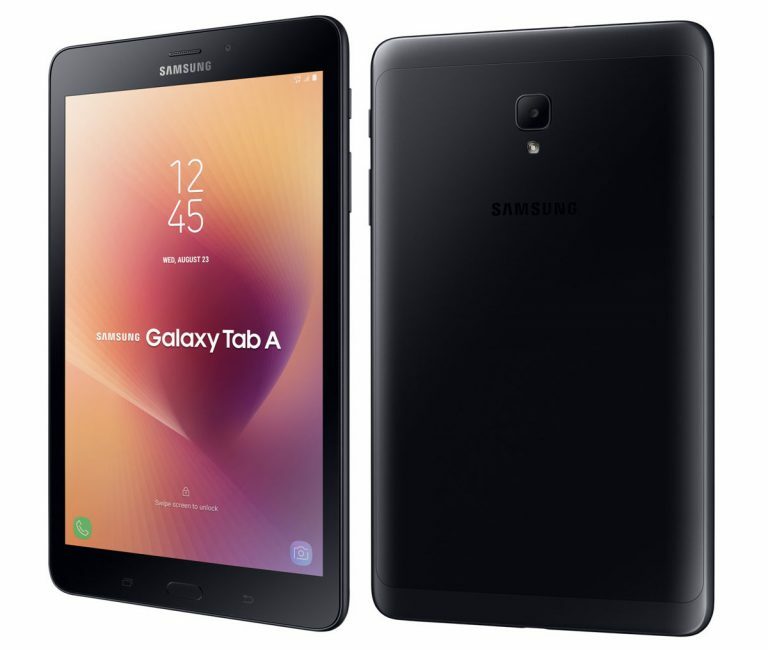 The Samsung Galaxy Tab A (2017) features an 8-inch WXGA TFT display with a resolution of 1280 x 800 pixels. There are Samsung’s signature home and menu buttons below the display. The Galaxy Tab A (2017) measures 212.1 x 124.1 x 8.9mm and weighs 364 grams. It runs on Android 7.1 Nougat out of the box. Powering the Galaxy Tab A (2017) is a 1.4GHz quad-core Qualcomm Snapdragon 425 processor with Adreno 308 GPU. Memory wise, it packs 2GB RAM and 16GB internal storage which is expandable up to 256GB with a microSD card. In the camera department, it sports an 8MP autofocus rear camera with f/1.9 aperture and LED flash. The camera on Tab A comes with some additional features like HDR and Creative Pro mode to create your own mark. There is a 5MP front-facing camera as well. Connectivity options on the tablet include 4G LTE with voice calling support, dual band Wi-Fi b/g/n (2.4GHz + 5GHz), Bluetooth 4.2 and GPS. It houses a 5,000mAh battery which the company claims can provide up to 14 hours of video playback time. The Samsung Galaxy Tab A (2017) is priced at Rs. 17,990 in India. It comes in Black and Gold colors and will be available from Samsung India Online Shop and also from retail stores across India. It also comes with a cover which will be available separately for Rs. 2,499. Samsung is also offering one-time screen replacement for Tab A (2017) at just Rs. 990 within 1 year from the date of purchase. This offer is applicable if you buy it within the first month of launch.